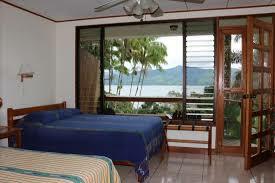 Rated #1 Lake Arenal B & B in TripAdvisor. 5 hotel rooms & 3 bungalows with kitchens. 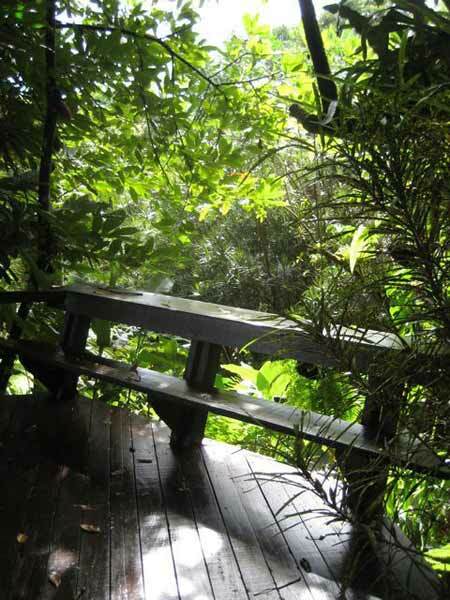 Nestled in a hillside with a botanical garden and lush rainforest setting. 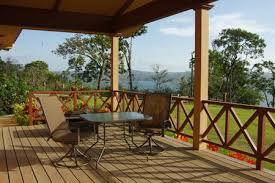 All units have balconies with magnificent lake and mountain views. Birdwatcher's paradise. Nature trail on property. Available to arrange tours, activities and transportation including car rentals. Gourmet breakfast. Great eateries nearby. 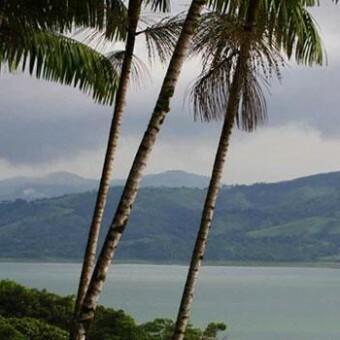 Within a botanical garden, amid a profusion of lush tropical plants and a dazzling array of rare palms, Hotel Villa Decary Bed and Breakfast is a longstanding favorite of bird-watchers and naturalists. The hotel, nestled in a verdant hillside, directly overlooking beautiful Lake Arenal and the stunning Tilaran mountains beyond, is perfectly located along what is considered to be one of the most picturesque drives in Costa Rica, stretching from nearby Nuevo Arenal, a charming little Tico town, to the spectacular Arenal Volcano, a safe 14 miles away. 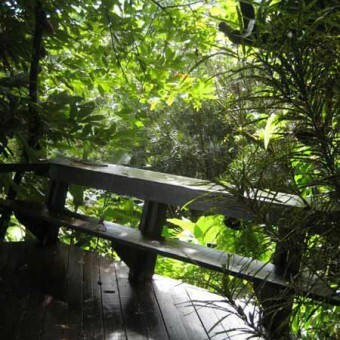 Boasting a babbling brook and private nature trail through virgin rainforest, Villa Decary abounds with the sights and sounds of nature. Butterflies, hummingbirds, toucans, parrots and over 150 species of birds are regularly sighted. Chirping frogs and howling monkeys often accompany the songs of the birds with an exotic jungle symphony. Villa Decary offers five affordable hotel guestrooms with balconies and three bungalows with kitchens and private decks. Rated #1 B&B in TripAdvisor, the well appointed and comfortable accomodations have U.S. style bathrooms with plentiful hot water.